They may be small, but there's strength in numbers! When smaller birds join forces to ward off larger birds, it's called mobbing. 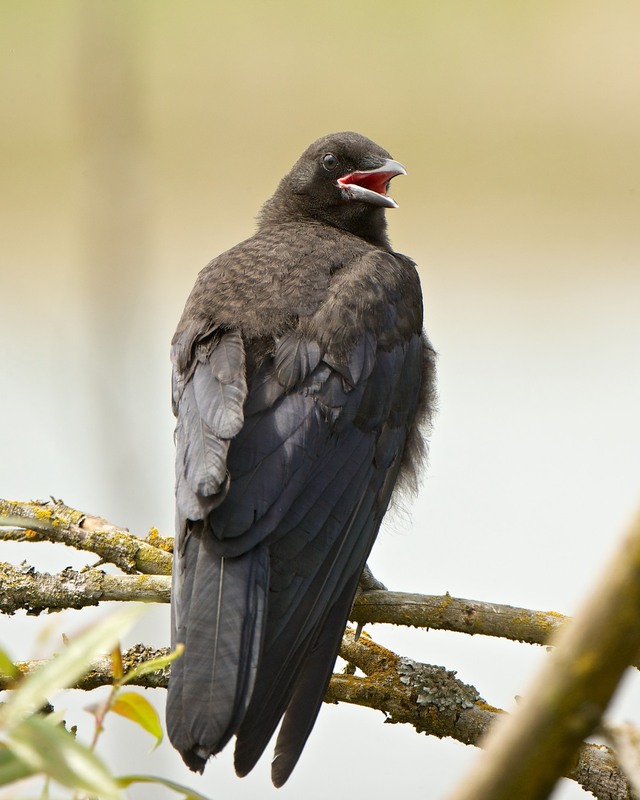 This behavior — like calling your family for help — is used by many bird species. 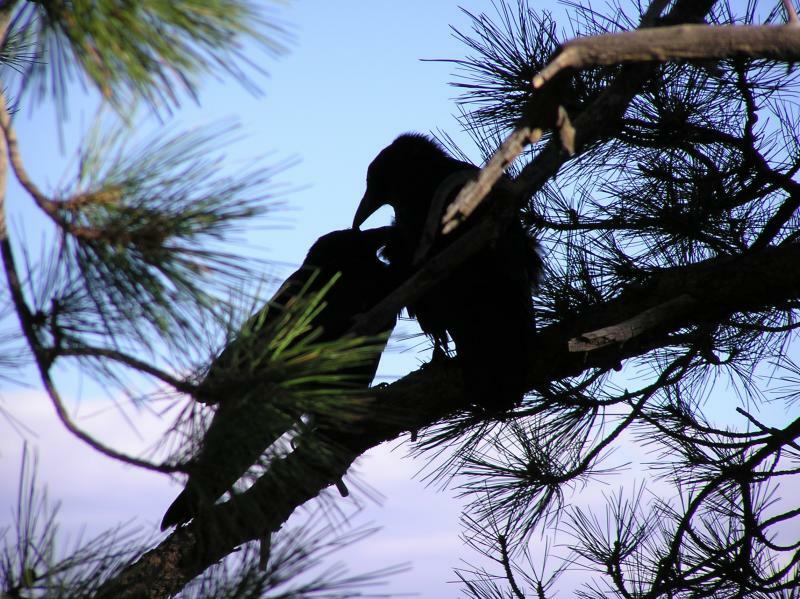 The best time to observe mobbing is spring and early summer, when breeding birds are trying to protect their nests and young. 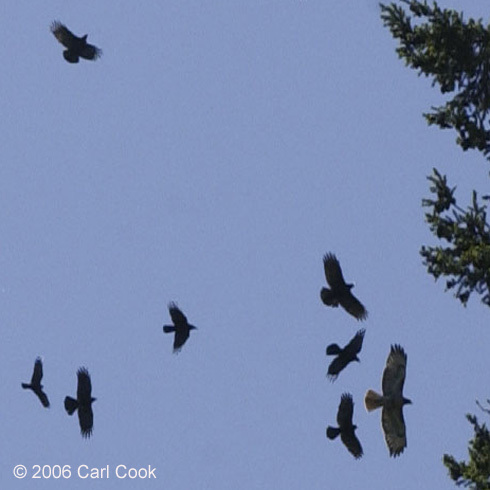 Birds including swallows, blackbirds, and even these American Crows, seen here mobbing a Red-tailed Hawk, know that there is strength and power in numbers. And they've learned to join forces to protect themselves. Be sure to watch the video! When smaller birds join forces to ward off larger birds, it’s called “mobbing.” This behavior — like calling family members for help — is used by many bird species. The best time to observe mobbing is spring and early summer, when breeding birds are trying to protect their nests and young. 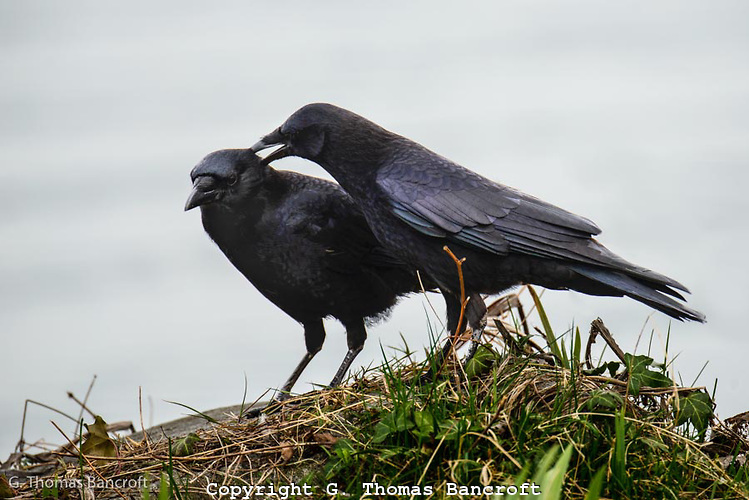 For a link to a video of crows mobbing a Bald Eagle, visit our website, BirdNote.org, I’m Michael Stein. Bird sounds provided by The Macaulay Library at the Cornell Lab of Ornithology, Ithaca, New York. 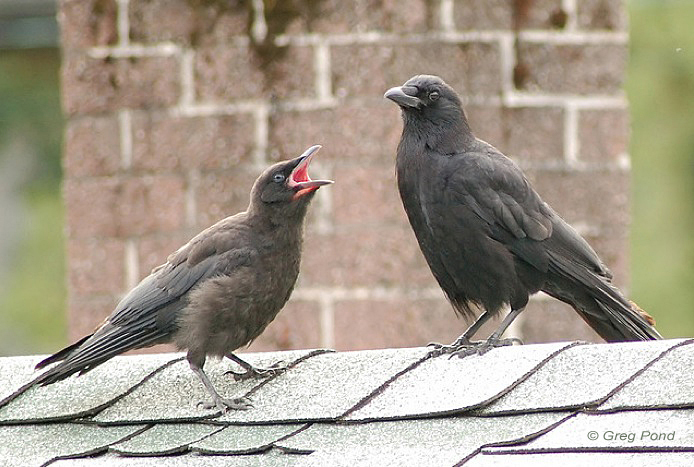 American Crow mobbing sounds  recorded by A.B. Vandeburg. Barn Swallow call  recorded by R.S. Little.